International Docking System Standard schematics (Credits: International Docking Standard System). The world watched as SpaceX’s Dragon capsule was grappled to the International Space Station on May 25 by the robotic Canadarm 2 before being berthed. The event was celebrated as a huge success and a step towards commercial crew capability. But was it? 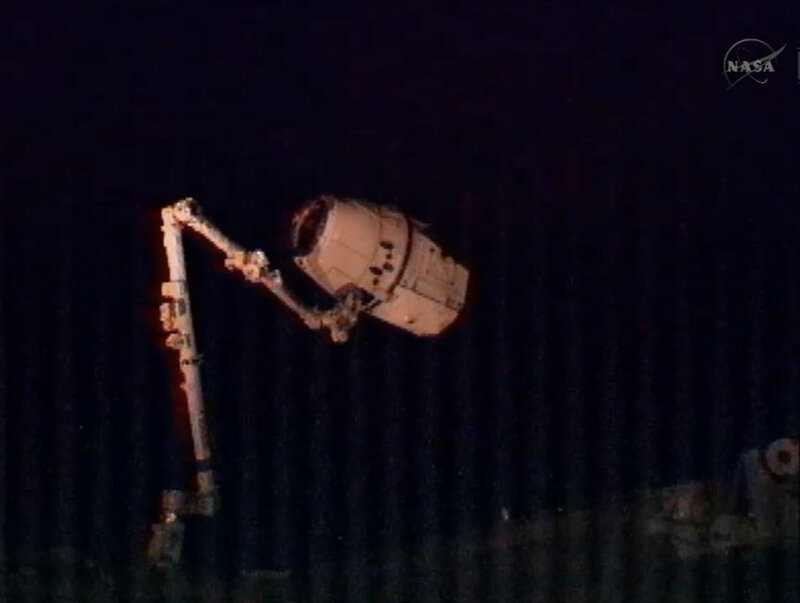 Dragon hangs on the end of Canadarm 2 after being robotically grappled (Credits: NASA). The latest version of the International Docking System Standard (IDSS) was released in May 2011 and is intended to specify only the minimum requirements needed to enable safe crew transportation, while leaving room for individualization in other parameters. The IDSS consists of two stages – an initial soft capture that brings the craft within range followed by a hard capture once the craft are in contact with each other to ensure sealing at the interface. Systems are required to employ both magnetic and mechanical contact surfaces. Despite the international standard, Russia’s spacecraft still use their tried and true Androgynous Peripheral Attach System (APAS). Russia has indicated that they will move to the new standard, but only after it has been shown to be effective in practice. A primary difference between the APAS and NDS is the use of springs and dampers as opposed to the newer electromechanical sensors and actuators to dampen post-contact oscillations. In the meantime, International Docking Adaptors (IDA) will allow NDS spacecraft to berth at Russian ports on ISS. There are no IDAs on the station – yet. Dragon will be responsible for carrying two of them in its cargo runs for installation on Harmony and a second as yet undetermined location. The installation will be performed by two ISS crewmembers in an EVA. Docking of China’s Shenzhou-8 with Tiagong-1 (Credits: Xinhua). The international standard was developed by the ISS partners, but the publication of such a standard paves the wave for future collaboration with new players as well. China, whose spacecraft derive from the Soyuz line, uses a version of APAS – which may or may not be IDSS compatible – and has made no secret of the fact that they would be interested in docking with ISS. Subsequent vessels can be designed with a compatible system from the beginning. Starting from standard requirements is a good step towards future collaborations and potential rescue operations in space, regardless of origin. The APAS system is not currently IDSS compatible and will require use of the International Docking Adaptor to facilitate docking with an NDS vessel. 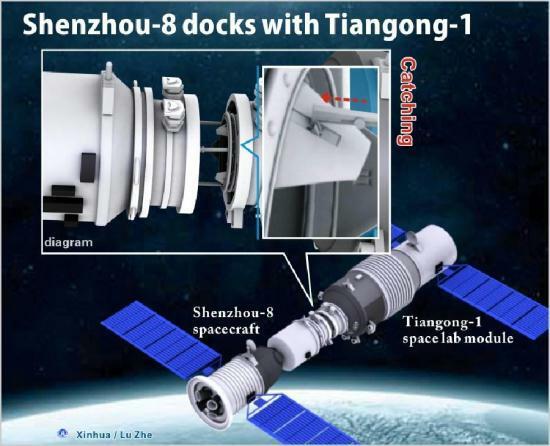 There are conflicting reports as to whether the Shenzhou’s docking system meets IDSS requirements. The author is indebted to reader Craig Hartnell for his feedback on this matter.